Human beings are storytelling creatures, moved and motivated from birth by the power of stories, says communication scholar Maria Dixon Hall. “One thing we want to know even as a child is, ‘Where do I fit in the story?’” she said. Yet, with rare exceptions, the church today does a poor job of communicating and telling its story, said Dixon Hall, an associate professor of communication studies at Southern Methodist University. With a background in both the church and business, Dixon Hall said the church can learn much from the business world about how to communicate more effectively and create shared meaning within an organization. 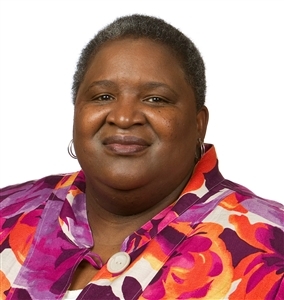 At SMU, Dixon Hall focuses her research on organizational strategy and planning, as well as the intersection of power, identity and culture in corporate, nonprofit and religious organizations. She founded an in-house consulting firm composed of top SMU communication students, whose clients include Southwest Airlines, Dance Theatre of Harlem, the Ugandan American Partnership Organization and the United Methodist Church. She has a B.S. in marketing from the University of Alabama; an M.Div. and a Th.M. in homiletics from Candler School of Theology, Emory University; and a Ph.D. in organizational communication from the University of Missouri-Columbia. Dixon Hall spoke with Faith & Leadership about organizational communication and the church. The following is an edited transcript. Q: What is organizational communication? 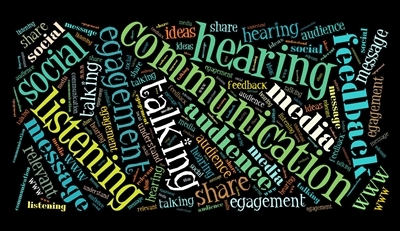 Organizational communication studies how people use signs, symbols and words to accomplish the work of the organization. Not only how they use communication to work with each other but also how they tell people outside the organization about their work. It’s a simple field in that it really just studies how people come together to accomplish their task in an organizational setting. I came to it because I wanted to understand the church not from its sermons but from the communication that happens between Sundays. I wanted to understand how we talk Monday through Saturday. Not just how the congregation talks but the staff meetings and the denominational meetings and the worship meetings and the letters that pastors send. I wanted to understand those and then see how they translate to how the church is perceived broadly. Q: How well does the church do organizational communication? For an organization where the word is central, the church as a whole probably does one of the worst jobs. Some denominations do it better than others. The Mormon Church does it extremely well. If you talk to a Mormon, they know why they’re Mormon. They know the difference it’s made in their lives, and they are able to tell other people. It’s as a United Methodist that I’m probably most disappointed. We struggle with having a unity of message. We struggle with having the hard conversations that some other denominations have had. We have a culture of niceness. We avoid conflict, so we are not able to hash things out. Our leaders are not able to hash out these very complex issues, and so in turn, they’re unable to help the body of Christ and the people who are called Methodists hash them out. When an organization doesn’t have a way of engaging in conflict, then they have to find a place to do it, and unfortunately, that’s what General Conference has become. Q: So organizational communication has a role to play in working through conflict? Yes. The church believes that if you can preach you are a communicator. So it has been inattentive to other elements of communication, whether that’s conflict and negotiation or the basic tenets of managerial communication. Some of the church’s greatest problems are about managing and talking to each other. District superintendents are unable to understand how to coach a young clergy member or how to discipline an older clergy member. Organizational communication helps an organization deal with that. Q: What should denominational leaders and leaders of other Christian institutions be doing? What are the keys to effective organizational communication? The other thing that organizational communication can do is tell you where the breakdowns are. If you look at how people talk to each other or don’t talk to each other, you’ll know the health of an organization. Church leaders need to be able to read what their people are saying. They need to hear the voices of the pew in a new way, not just as an indicator of stewardship but also of health. We’ve been taught to measure people’s love for the church through their stewardship. But stewardship is directly tied to how people talk about their relationship with the church. The more positively I think and speak about the mission, vision and leadership of my church, the more likely I am to invest my time, energy and money, because I now understand where they are going. Q: Do people know the answers to those questions about mission and vision and where the money goes? No. We spend a lot of time on glossy handouts that say, “Here’s where your money is going.” We may have a couple of sermons about stewardship. But we don’t understand that we’ve been having stewardship sermons, Bible studies and newsletters all year. Every document that we send out as a church is a stewardship document. That’s stewardship. Those things that Pope Francis has been doing are stewardship, and as a result, people are now going to reinvest in the vision of the Catholic Church. United Methodists have become poor storytellers. We no longer can tell our congregation where they fit in the story of Christ. We no longer can communicate the difference that Christ has made in our lives and in the world, and we are unable to tell people why they should be a starring member in this story. Q: How are church leaders supposed to turn this around? What’s your advice? First, get comfortable with your own story. If you can’t tell people the story of why Christ has made a difference in your life and tell it succinctly, then it’s unlikely that they will listen. Theological education doesn’t teach you how to tell a story in a way that allows the church as an organization to live. That story should permeate how we deal with each other in staff meetings and in organizing our work. That story should be relevant when we confront difficult issues. We are more equipped for talking rather than communicating. Talking is using words in a back-and-forth way. Communicating is creating shared meaning. We don’t have shared meaning about what it means to be Methodist or a Christian or what it means to be in service. We are fractured because we don’t know how to create shared meaning. That’s what Christ came to do, to give us an opportunity to bridge the gap and create shared meaning. That meaning comes to me in one of the most powerful means of grace -- coming together as church. Q: Do corporations do better at creating shared meaning throughout an organization? Oh my gosh, yes. You see that at Apple. You see that at Southwest Airlines. You see it at key universities. One of the best leaders I ever worked for is Gerald Turner, the president of Southern Methodist University. I know what we stand for. I know what our goals are. I know how I fit into the story of SMU, and so I am passionate about SMU. That creates buy-in. The strategy comes from our board of trustees to our president to our senior administrators to our dean to our chairs and then to the faculty and the students. Everything they do is centered on providing the best customer experience, and their first customers are their employees. That’s because Herb believed that if the people who work for you are happy, everything else will fall into place. So Southwest set up a system by which they could listen to their people. The flight attendants, ramp agents and ticket agents know that the leadership of Southwest Airlines has their back, so there’s no fear. There’s no fear of making mistakes. There’s no fear of coming up with new ideas. There’s no fear in taking a risk. Q: Is fear pervasive in organizations today? Oh, yes. Particularly in hard economic times, people are afraid of making mistakes. They are afraid to try, because if they fail, they may get fired. So failure becomes bad. At SMU and Southwest Airlines, failure is more about not trying something new. You have to develop a culture of risk -- a culture where people say, “I have an idea, and I’d love to try it out.” What SMU and Southwest have done is create entrepreneurs with servants’ hearts. Messiness is not a problem in those organizations. It is not a problem at SMU or Southwest to have a disagreement or to try something new. It is a problem when you fall into mediocrity or when you make it someone else’s problem and you are afraid to try. Q: If there was a “Southwest Church,” who are the employees who are the first customers, the ones whose backs are covered? Some people say, “Oh, our clergy are so well taken care of.” No, really they’re not. They’re squeezed in so many different ways that they are dictated to but rarely listened to. Our district superintendents and our bishops are so overtaxed they don’t get a chance to know the people they’re serving with. There are not mechanisms to get to know folks. It is difficult to go into war with someone that you don’t really trust, and you don’t trust them because you don’t know them. We’ve created an adversarial relationship between the clergy and the leadership, which turns into an adversarial relationship between the pew and the pulpit. People will say, “Oh, that’s not the case.” But if you take a lot of these leaders and a lot of these clergy off the record, you hear their frustration. It’s because we’ve not cultivated that shared meaning and shared story. We don’t have a system in which we can truly engage in dialogue. Q: How does social media change organizational communication? To what extent has it empowered clergy and congregations to start creating this shared meaning? No. They shouldn’t be getting the pages; they should be reading the pages. There you hear the humor, the sarcasm and the views of the people about what’s really going on. Social media is an opportunity for leaders to take their organization’s temperature. People are no longer afraid to share their views about their organizations and their leaders on Facebook. They’re no longer afraid to hear what people are saying. They want to be in dialogue, and social media provides anonymity, so they don’t have to worry about retribution. That’s what you do in this era. You can push messages out, but it might be more useful for organizations to put their ears to the ground and listen to what people are saying. Courtesy Faith & Leadership www.faithandleadership.com. The views in this commentary are those of the author and do not necessarily reflect the position or policy of the Florida Conference of The United Methodist Church.